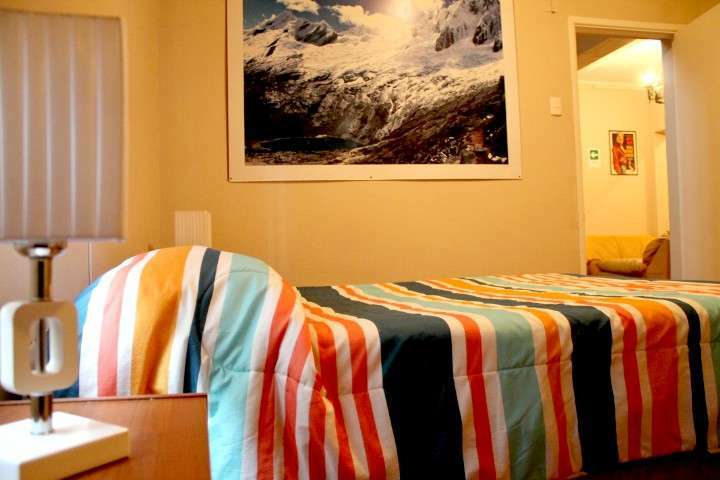 We are a new hostel located in the commune of Providencia, a safe, beautiful and with many options for tourists zone; very close to the center of Santiago. In our store also it runs a bar / restaurant with special prices for our customers. We have private and shared rooms, giving more economic options and other more comfortable keeping the profile of each customer. All our rooms have private bath and breakfast service we offer is also for everyone. We are located in one of the best areas of Santiago, the Providencia district, known for its safety, tourism and leisure. Providence has several parks, metro (main line) 2 blocks from our hostel (station Manuel Montt and Salvador), universities, discotheques, pubs, bars, restaurants, etc ... What leads to be an area of many activities who is traveling and wants to get the most out. Besides this commune is located next to the center of Santiago, close to only minutes by Metro or buses and a 20 minute walk. If your plans change, you can cancel the booking any time up to 24 hours before arrival by sending an email directly to the Hostel. Please include all your booking details in the cancellation email, and keep the email which you have sent to the hostel as proof of your cancellation. If you do not cancel, the hostel has the right to charge your credit card for the first night of the booking. If you wish to change your reservation, or any details of it, please contact the hostel directly. email: info@chilechico.net , phone: +562 2235 0206 .